Tyler, Tx Criminal Intent Attorneys - Oberheiden, P.C. Relevance. Criminal intent refers to a person’s mental state at the time he commits a crime. Intent is one of the elements of a criminal offense and can be a critical factor in determining whether or how to punish a person convicted of a crime. Motive. The concept of intent differs from that of motive. Whereas motive relates to the story behind the crime, intent reflects whether a person voluntarily took actions that constitute the elements of a crime. For instance, if a hungry man steals a loaf of bread, his motive is to feed himself but his intent is to misappropriate bread that belongs to another. Unlike intent, a person’s motive is not an element of a criminal offense that must be proven in court. However, the judge may consider the defendant’s motives at the time of sentencing. Bad motives, such as racism, hatred, or greed, could warrant a higher punishment than good or neutral motives, such as stealing bread to feed a starving child. Types of Criminal Intent. Every crime has its own standard for the level of intent that the government must prove in order to convict a defendant. In this regard, criminal law distinguishes between levels of intent – i.e. intentionally, knowingly, or recklessly, as well as whether a person intended the conduct, intended the result, or both. These distinctions help courts determine what degree of offense a defendant is guilty of. An illustrative example of these distinctions is the crime of homicide, or the killing of another. A person who intentionally murders another – i.e. by shooting the victim in the head with the intent to kill him – is guilty of a more serious crime than one who engages in reckless conduct that inadvertently results in the death of a victim – i.e. by shooting a gun in the air that causes a bullet to ricochet and hit someone. Similarly, a person who intends to shoot a gun but not to hurt anyone is guilty of a lesser offense than one who shoots a gun with the intended result of killing a person. The prosecution has the burden of proving a defendant’s intent during the commission of a crime. 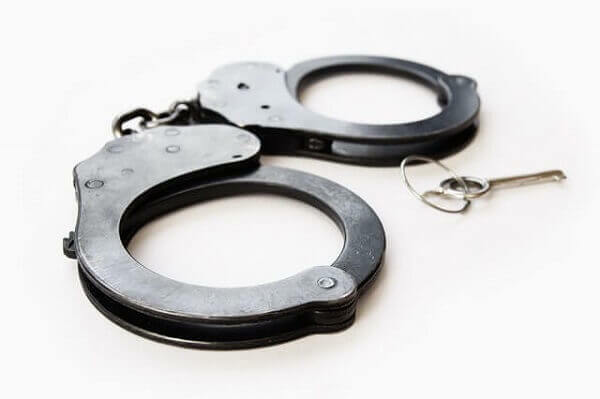 For this reason, a common strategy for criminal defense attorneys is to argue that the defendant had a lesser level of intent and thus is guilty of a less serious offense. For instance, if a defendant shoots someone, he may be charged with murder, which requires that the prosecution prove the defendant acted with the mindset of intentionally killing the victim. A criminal defense attorney might argue that the defendant is only guilty of a lesser charge, such as manslaughter, because the defendant did not intend for the victim to die but merely operated the gun with reckless disregard as to whether the victim could die. 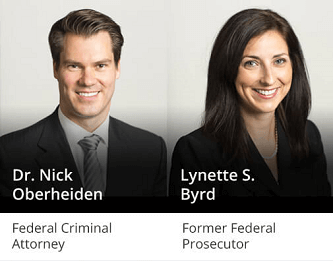 If you have questions about intent or are seeking defenses to negate intent in federal criminal proceedings, you should contact the attorneys of Oberheiden, P.C. Call us today and speak with one of our senior attorneys directly at (800) 810-0259. How Is Intent Proven by the Government? Regardless of a crime’s required level of intent, the government has the burden of proving that the defendant had the requisite state of mind both for the conduct and the result, if applicable, in order to obtain a guilty verdict. Generally, prosecutors rely on inference to prove the defendant’s level of intent because often there is no direct evidence as to the defendant’s state of mind during the commission of the crime. Thus, the prosecution may ask the judge or jury to infer that the defendant had the requisite state of mind for the alleged offense from the defendant’s conduct and words or evidence of the defendant’s motive. Nonetheless, mere speculation as to the defendant’s mindset will not satisfy the prosecution’s burden of proving the intent element of the crime beyond a reasonable doubt. In practice, courts generally interpret the intent requirements of criminal statutes narrowly in favor of defendants in order to ensure that this standard of proof is met. Time of Intent. The relevant period for establishing a defendant’s intent is at the time that the criminal acts are carried out. Thus, if a person intends to commit a criminal act that results in unforeseen consequences, the defendant’s intent is measured at the time the actions occurred and not the time when the effect of those actions occurred. Similarly, if a person intends to commit a crime but abandons that thought before taking any acts in furtherance of it, the person has not committed a crime. Statutory crimes. Statutory crimes are crimes that are committed merely by being in violation of a statute. Whether or not the government must prove some level of intent to convict a defendant for violation of a statutory crime remains controversial. The Supreme Court has attempted to provide guidance regarding the intent requirement for statutory crimes. In Dixon v. United States, 548 U.S. 1 (2006), the U.S. Supreme Court stated firmly that whether a guilty mind is required in order to be convicted of a crime is for the legislature, not the court, to decide. In Clark v. Arizona, 548 U.S. 735 (2006), the Court declared that a state legislature has broad authority to restrict, enlarge, or define the element of mens rea. See also Montana v. Egelhoff, 518 U.S. 37 (1996).